40/40 was commissioned to help beautify an alleyway in the Gold Coast CBD. 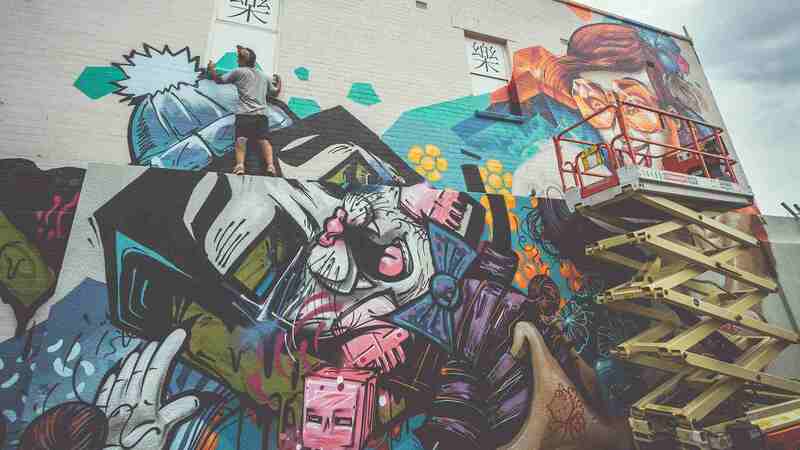 We enlisted the help of world renowned Brisbane based artist 'SOFLES' and also 40/40 artist Lachlan Hansen. The mural was completely improvised on the day as per the artist styles and was completed in only one day. Here's a behind the scenes look of some visuals that captured the amazing process and mural that Sofles and Lachlan Hansen created.